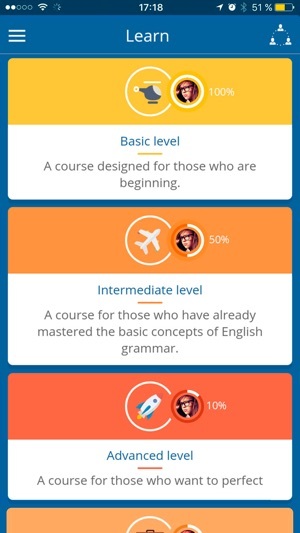 - LEARN: You will find the course organized in different levels where you can study everything from the basic concepts of English grammar to the most advanced. 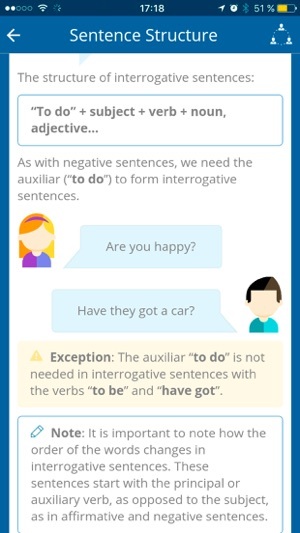 All English grammar simply structured with examples and audio for easy comprehension! 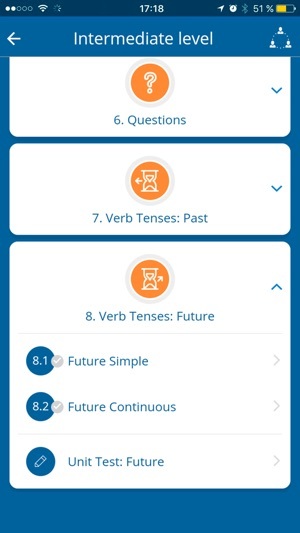 - PRACTICE: Do exercises and activities related to the lessons and evaluate your knowledge. 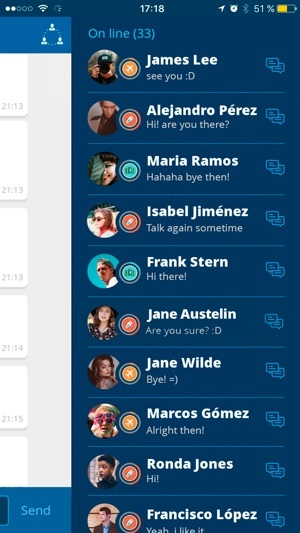 - CHAT: Converse in English with other Curso Ingles students in our chatroom, you can receive help from our teachers and also community members can help each other. 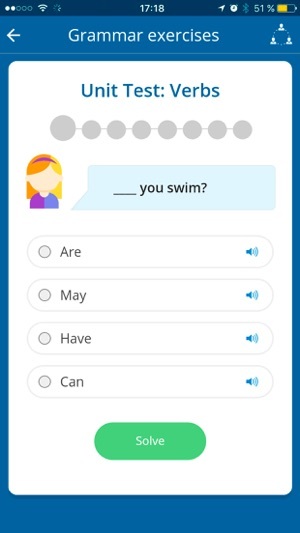 - RESOURCES: Always have on hand useful tools which will assist you in your studies of English: a dictionary, translator, verb conjugation tool and a pronunciation tool! - PROGRESS: Track and improve your knowledge on a daily basis. From your profile you can follow your progress in the course and set your preferences in the app. Get even more from the app by purchasing a premium subscription. You will get access to all free and premium content without ads and even when offline. Use any of the in app triggers to become premium. Try it ! Your subscription will automatically renew every year until you cancel it. You can cancel at any time in the Store if you wish. Remember that you can manage your subscriptions through your iTunes account settings. You need to pay for the subscription but also you can use the app free obviously with some restrictions. 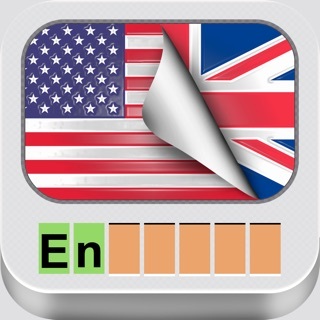 I’ve been using this app for months and it’s an excellent app to learn English.